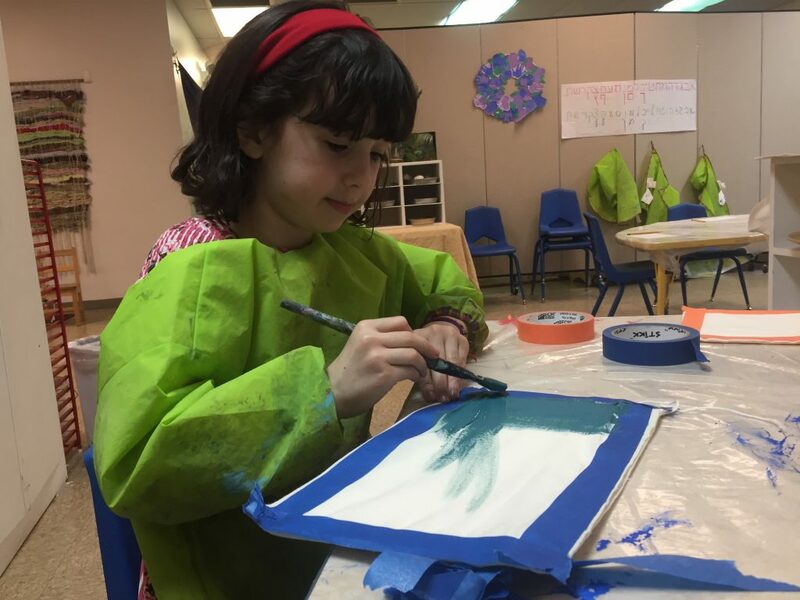 To prepare for Pesach (Passover) this year, Anafim (“Branches” for 2nd and 3rd grade) are diving deep into conversation with some of the ancient rabbis to consider different ways to interpret Pesach. We started with the Mishnah, a set of books from the early rabbis compiled around 210 C.E. The Mishnah says that a seder should begin by telling about the hard stuff about Pesach and end with the telling about the awesome stuff about Pesach. Hmmm, no one was quite sure what to make of that. Anafimers jumped right into discussion with a partner about what they thought that might mean. 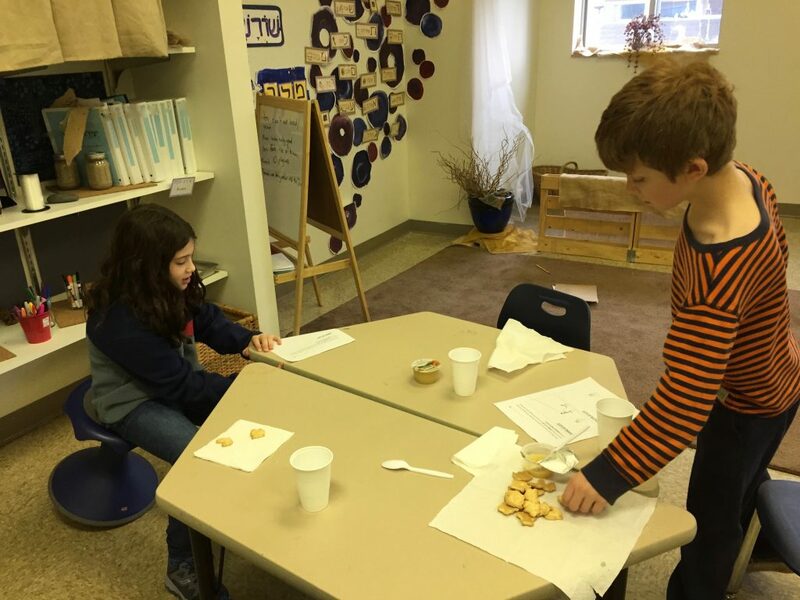 Together, children came up with a lot of ideas — maybe the hard stuff was that the Israelites were slaves, or that they had to kill all of their boy babies, or that there were 10 really terrible plagues. Over the course of the week, we then learned about how two later rabbis, Rav and Shmuel, interpreted this passage from the Mishnah. 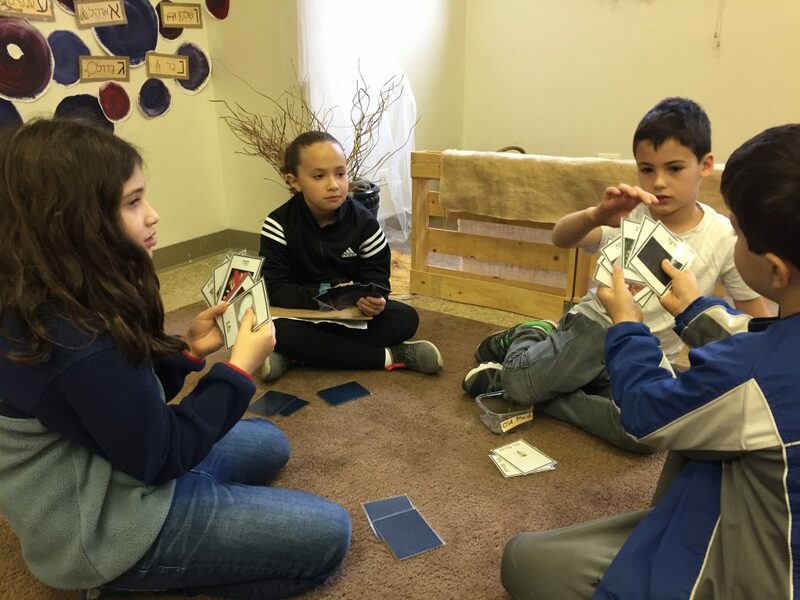 We also learned that their disagreement is recorded in the Talmud, a set of books written by rabbis who lived after the Mishnah was finished. 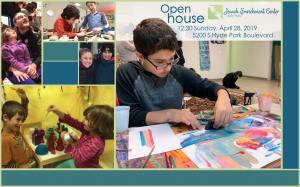 For their Pesach final projects, Anafimers are using paint and felt to show Rav and Shmuel’s ideas about Pesach as well as their own interpretations. 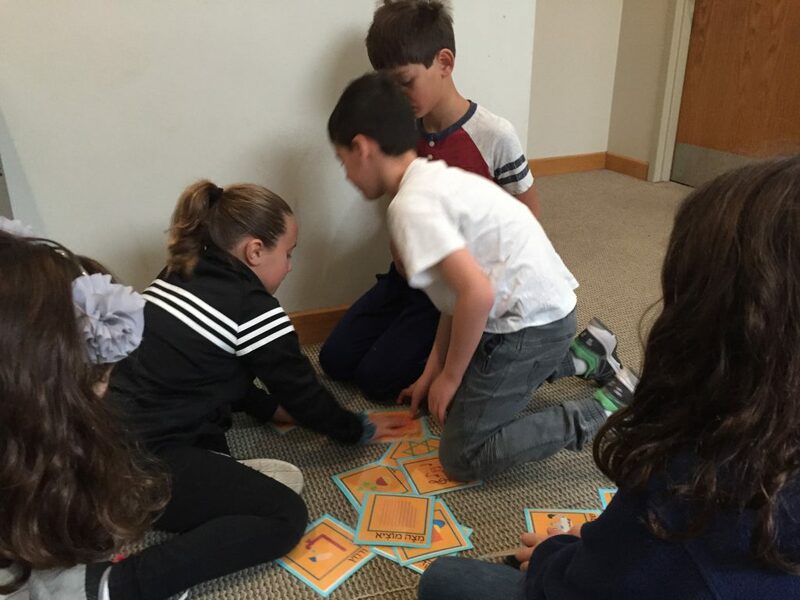 And of course, in the meantime, we’ve found lots of fun ways to practice and expand upon our Pesach vocabulary and Ivrit (Hebrew) reading, like with giant games of Old Maid and a scavenger hunt with lots of Ivrit challenges!